Bali uninhabited islands, you can find native animals Menjangan and amazing underwater wildlife. Menjangan Island is part of the National Conservation Park Western Bali. Surrounded by sparkling white sand beaches, full of stunning coral reefs and fascinating. Menjangan Island neighborhood still maintained naturally. 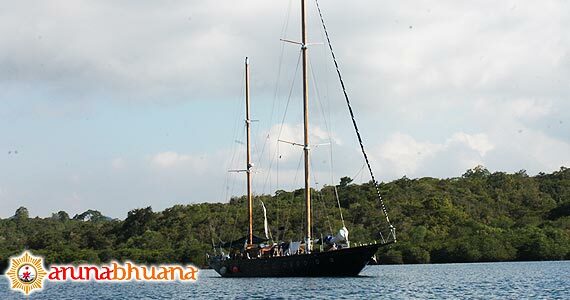 Located about 10 km from the port of Gilimanuk, Jembrana - Bali. 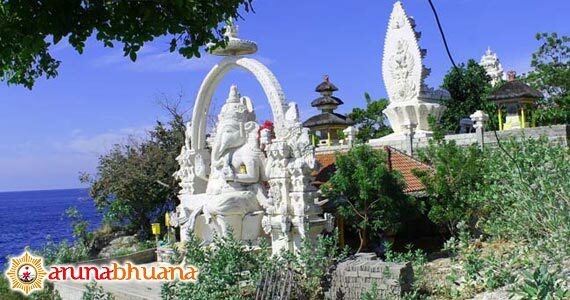 Activity that you can do here is diving, snorkeling, and of course exploring the island contained a number of temples that are always visited by Hindus in Bali. Temple at Menjangan Island, such as Pura Taman Pingit Klenting Sari, Pesraman Agung Kebo Iwa, Pagoda Agung Dewi Kwan Im, Pendopo Agung Dalem Lingsir Gajah Mada, Puncak Penataran Agung Pingit Klenting Sari, Ida Betara Dalem Lingsir and others. For diving activities carried out at depths ranging from 20-30 meters under the sea. The water is crystal clear and calm with a variety of fish can be found here. 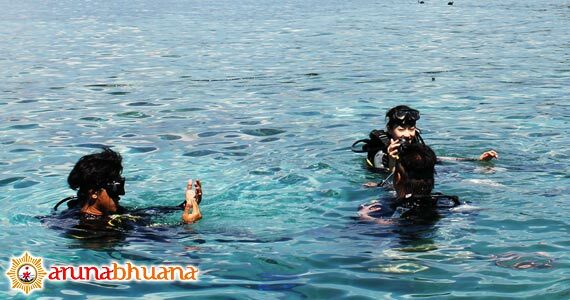 For those who love a diving, the dive sites around the island is a must to visit. Place or dive sites of interest include the Anchor Wreck. Its name comes from a large `Anchor` that exist under the sea, surrounded by a natural and colorful coral. So beautiful underwater atmosphere, here you will find the type of fish that are not contained in the other beaches around Bali. 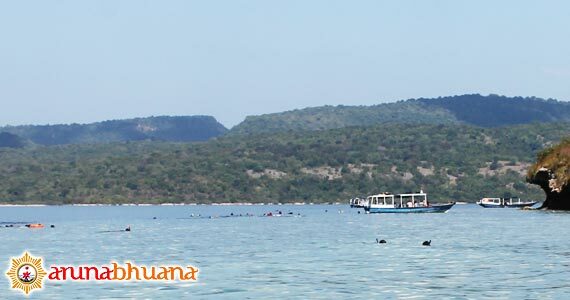 The best time to visit this underwater wonders around the island is between April to November. And you are advised to bring your own supplies, because there are no shops available at Menjangan Island. Make sure also that you have all the tools and equipment to dive or snorkel. Other purposes such medicines you should also take it. Menjangan Island is an uninhabited island, although there are temples in the island. Balinese who doing the ceremony at Temple will return to Bali in the evening before its dark. No choice of accommodation and other facilities available at Menjangan Island. Hotels and other accommodation can be found around the coast of West Bali is close to Bali Barat National Park or Pemuteran area. One of the famous accommodation facilities is The Dream Menjangan Resort. And many more accommodation in accordance with the budget you have. 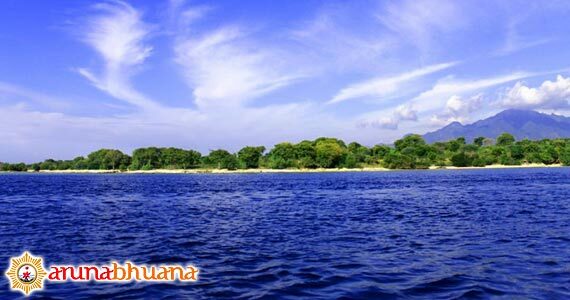 To go to Menjangan Island is using a local boat, can be reached from the Port of Labuan Lalang in Teluk Terima area. Or you can also take a boat from the small pier in Banyuwedang, next of The Mimpi Resort. To get to Labuan Lalang or Banyuwedang depending from where you came. Local boat rental price is IDR 500,000 per boat. Can be filled up to 10 people. Boat crew will wait until you have finished the activity.